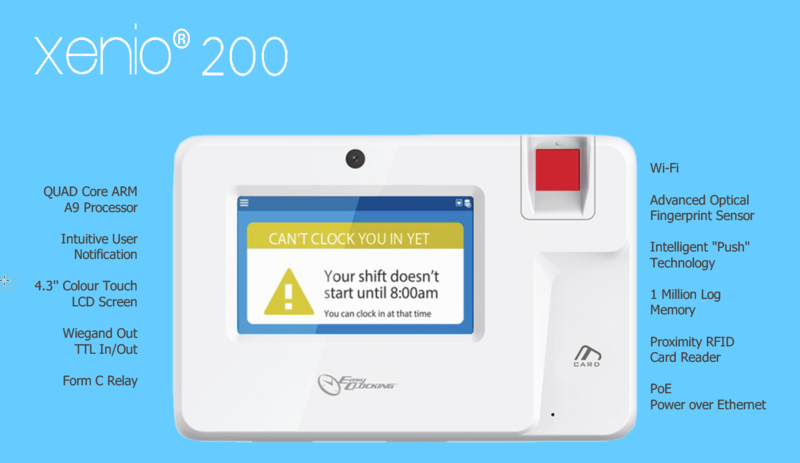 Easy Clocking Xenio200 with WIFI* is the employee time clock re-imagined. 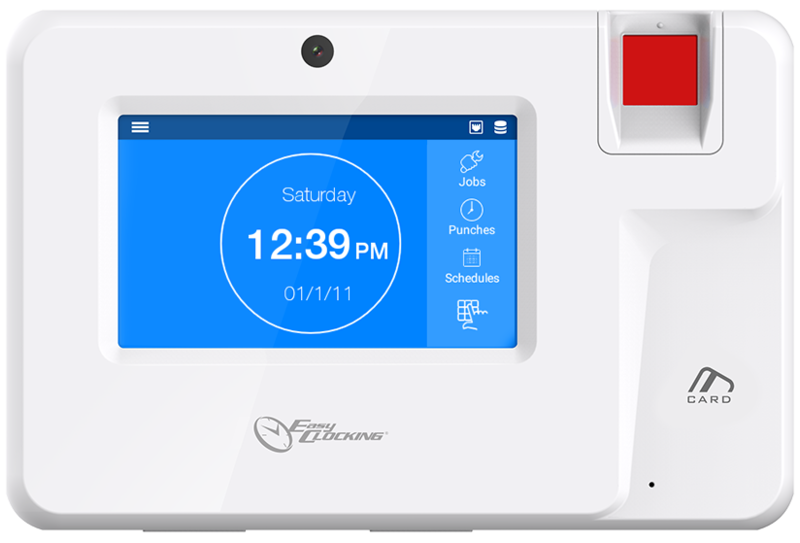 The Xenio200 with WIFI* Biometric Time Clock was designed for small businesses with clean environments. 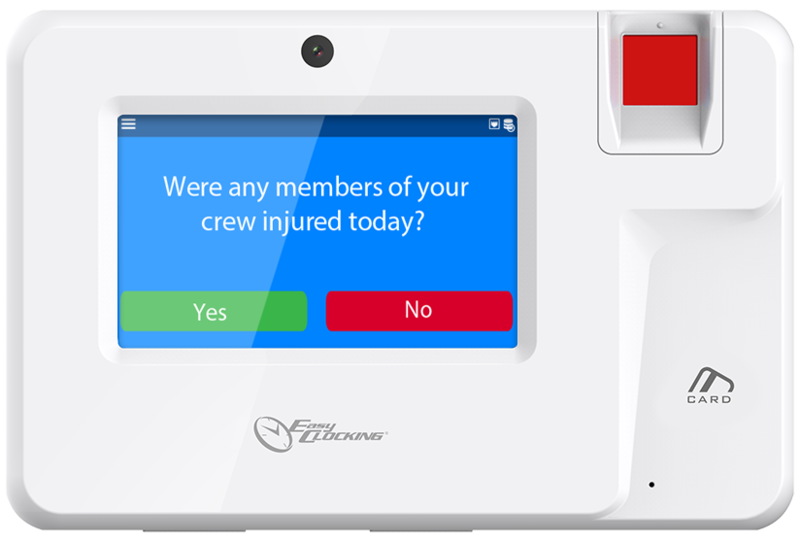 The Easy Clocking Time Clock Xenio200 with WIFI* verifies an employee identity based on the characteristics of their fingerprint. 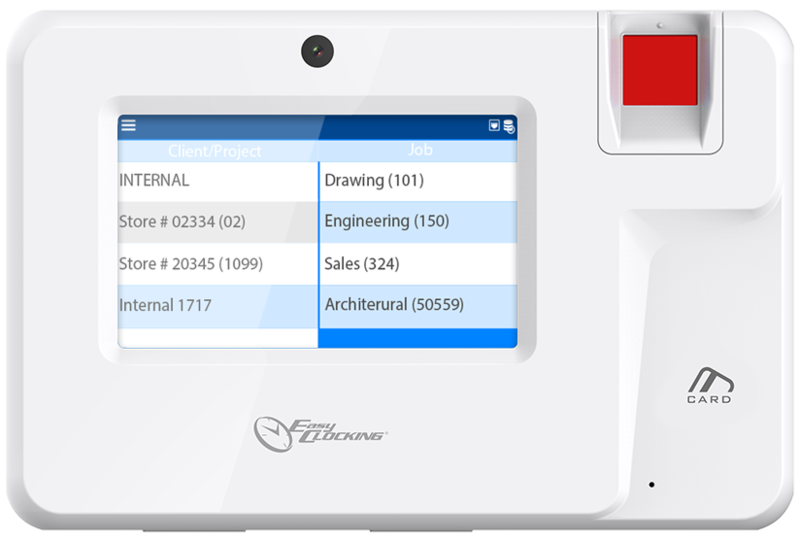 Xenio200 with WIFI* Employee Time Clocks read the fingerprint characteristics that are beneath the surface of the skin. Easy Clocking Biometric Time Clocks are able to collect and process biometric images in a manner that makes fingerprint authentication and identification more robust, more inclusive and more reliable than other fingerprint sensors. Allows your employees to view their work schedule. 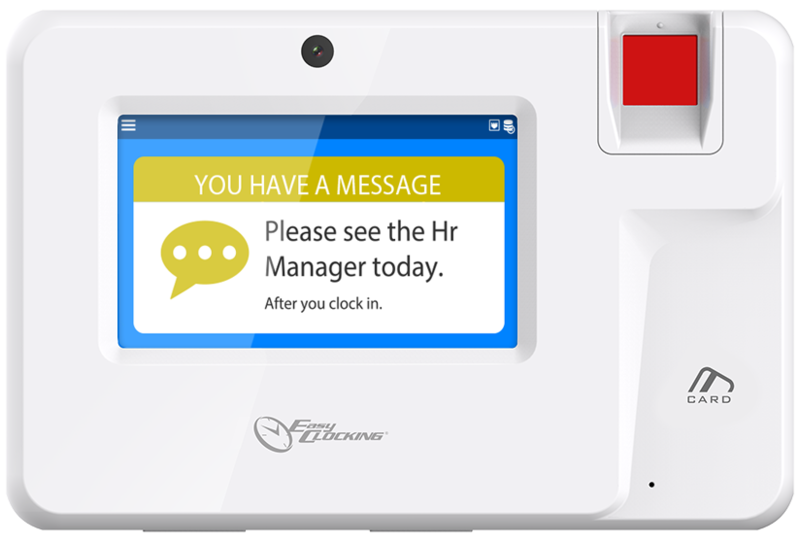 Effectively track labour costs for a specific client, project or job.